Climate change blamed for dead trees in Africa | Watts Up With That? Berkeley — Trees are dying in the Sahel, a region in Africa south of the Sahara Desert, and human-caused climate change is to blame, according to a new study led by a scientist at the University of California, Berkeley. IMAGE:Rainfall in the African Sahel declined more than anywhere else in the world in the period of recorded measurements, causing increased aridity, as evidenced by this dust storm in Senegal.Click here for more information. Just what does this have to do with NASA? Someone needs to get NASA back on topic. On a less humorous note, I wonder if they studied the actual cause, such as a shifting weather pattern, the tropical jet stream or anything else not man created. Oh my. I’m sure this has never happened anyplace in earth’s ancient past. Don’t have a problem with people noticing that the climate is getting drier in some places, causing some trees to die. I’d be interested in knowing about the impact of regional deforestation, grazing patterns for livestock, diversion of waterways (as in China), application or withholding of pesticides and/or other chemicals (or fertilizers for that matter). Moreover, in the scheme of things, considering the age of the Earth, I’d like to see projections on rainfall patterns for longer than the data provides. I’m not skeptical about science, but I am eternally skeptical about political science. The last time that I checked, using a tree as firewood killed, looking out window at two stumps right now! This itself is the problem; Make-work journals to serve the interests of a few whacko paper writers whose alarmist “findings” are needed to keep them and their funding going. NASA provides satellite pics that the Warmies can Interpret to show Climate Change is the culprit. Any Body that supplies funding to warmies, is an ally,and they like to give them creds. They think the Sahal is in trouble? Hell, the North Pole is melting,and Santa is losing his home. Don’t believe it? Google David Suzuki Foundation Christmas ad. Scared the heck out of kids, when it was shown. He was seeking donations for his Climate Change Foundation. My sentiments echo others. Why is is just presumed that this is caused by man emissions of a trace gas into the atmosphere? Did they start looking at trees with that prejudgement in position already, sounds to me as if that is precisely did! Just a few thousand years ago the whole of Sahara, where wind now blows about sand dunes for hundreds of miles, has been covered with grass and trees, supporting innumerable herds of grazing animals, giraffes, elephants, monkeys, and predators. Yes, climate has changed, and continues changing. Earth’s axis of rotation changes its angle, the Sun is never constant, volcanoes cover the skies with ash, cosmic rays create more or less clouds as Solar wind oscillates, and as Solar system flies through different regions of space. Not to mention “unknown unknowns” of biological and astrophysical nature. It may be that overpopulation and excessive agricultural activity in Sahel countries contribute to the natural change somewhat (how much? how little? who is to say? alarmists interested in getting grants?) — but it should be obvious even to a visiting scholar in Berkeley that the largest desert in the world is not a human creation. “People in the Sahel depend upon trees for their survival,” said Gonzalez. “Trees provide people with food, firewood, building materials and medicine. Firewood, do they replant after felling? after all it is well known that trees make clouds which make rain. There has been a similar problem with the Snows of Kilimanjaro after all. “In the western U.S., climate change is leading to tree mortality by increasing the vulnerability of trees to bark beetles,” said Gonzalez, who is now the climate change scientist for the National Park Service. Utter crap. We need weeks of -20°F to kill off the beetles. How often has that happened. Not in the 40+ years I’ve been in Colorado. The Sahel has been drying for hundreds, perhaps thousands of years. This article is a monument to ignorance. I thought it had been known for decades that the region concerned was susceptible to the Sahara shifting cyclically poleward and then equatorward. Latitudinally shifting climate zones moving in response to combined solar and oceanic variations is clearly the cause. The impression I had was that severe Sahel droughts occurred during the mid 20th century cooling spell and then there was some greening of the area during the late 20th century warmup and now drying again as the troposphere starts to cool once more. Entirely consistent with routine shifting of the permanent climate zones in response to natural solar and oceanic forcing. This study is a pile of garbage. Logging could easily explain the disappearance of the trees but then that wouldn’t fit into the ideologically driven story that burning fossil fuels is destroying the planet. The Climate Liars attribute everything to Co2. I wonder if we can blame their lies and corruption on excess Co2 in the atmosphere. “It is remarkable to think that these treeless desert lands were, half a million years ago, humid tropical forest lands, with now-extinct primates and a rich diversity of plants and animals— a far cry from the impoverished biota that populates the interior of northwestern Africa today. They, these so called scientists, seemingly cannot resist the issuing of speculative and overtly political statements in conjunction with their research papers. Does Gonzalez’s professional knowledge extend to expertise on “current technologies and practices” such that he can speak with authority on control or limitation of greenhouse gas emissions? Why can they not just present their work in an unbiased and professional manner? Is it too much to expect them to shut up about issues where they lack expertise? At least they should qualify their opinions on matters outside their expertise as personal and not professional. Ten years ago I remember reading articles on how green the Sahel was getting. Now that we are cooling off, guess what? Apparently modern AGW is retroactive… The drought that caused the rapid collapse of the Egyptian empire would not have happened without our influence? According to recent findings that show the cause of the annual flooding of the Nile region was seasonal rains in a neighboring region, which stopped, and resulted in mass starvation and the end of the great society. A widespread 140 year drought about 4,000 years ago, called the First Intermediate Period … couldn’t happen today? It could only happen as a result of AGW? Pushing the start date of the timeline back a little shows a totally different regional climate picture. My cat died due to climate change. They get away with this crap bs science every day! Garbage! How old was that tree? Thanks, Juraj V. for the links to articles on the “greening” of the Sahel. That was the last thing that I recall reading about it, and those articles were published in 2008 and 2009. An illustration of the great difficulty that part-time readers of climate science (like me) have difficulty with. This should be easy enough to differentiate though – is it greening or not? During the Holocene Optimum 6000 years ago, the Sahara was warmer and wetter than now. During the last glacial max, the Sahara was much bigger. High temps do not mean drought. Marcel Leroux collected data and explained it in his PhD thesis, updated in 2002 and published 2002 – The Meteorology and Climate of Tropical Africa, Springer Verlag, 2002, 548 p.+ CD 250 maps (ISBN 3-540-42636-1). Leroux explained that drought is linked to paleoclimatic cold periods and not warm periods. So of course the Sahel Drought is linked to “climate change” but contrary to the propagandist Gonzalez assertion, it cannot be caused by GHG inducing global warming. History tells us otherwise. eom. I can do this study one better. During the depths od the last glaciation over 7 trillion trees were killed by cold/compression over vast areas of the earth. From the tree line in northern Canada south into the US. From northern Siberia south to central Asia. Northern Europe and else where. The earth lost large quanity of oxygen input to the atmosphere and CO2 storage. What is happening now in Africa to the trees is slight compared to that. Gonzalez is referring to the fact that Ponderosa Pines need a given amount of water in able to naturally prevent the bark beetles from eating through its thick bark and ultimately killing it. Ponderosa Pines do this by excreting a rather large amount of sap in order to cover and kill the beetle as it attempts to make its way into the tree core. During droughts the trees cannot produce the necessary amounts of sap due to the lack of summer/monsoon moisture. So, his statement is factually correct since he did not state anthropogenic climate change. However it would have been better stated utilizing the word “drought” instead of “climate change”. Very interesting. Everything I’ve read until today indicated that rainfall in the Sahel has been increasing for decades. CO2-induced climate change was predicted to increase rainfall there so dramatically as to encroach upon the Sahara. It has been my understanding that the Sahara desert area used to be lush. Also that, this “desertification” (Is that a word?) has been ongoing for thousands of years. So what’s new here? Oh, now it’s anthropogenic(That is a word.). I feel so guilty. And, as sources of firewood, do the indigenous people cut down trees? Are there species of trees which make better firewood? Could that be a factor? Logging, as mentioned above is also a factor, as it changes the species group which then re-inhabits the land. Given time the forest succession would bring back the original long-term species, lacking more outside factors or more natural climate change (it’s so nice to use “climate change” with its real meaning). In New England we avoid burning pine, unless you are into chimney fires. Really dry pine does not spit and crackle, but it is just as good as younger pine at making creosote. And then there is the grazing animals eating saplings of specific species. Another factor? If the authors are indicating climate change, they need to be quite specific, since it means global warming to one group (the Team et al.) and entirely natural processes to the rest of the real world. (1) The expansion of human knowledge of the Earth and of phenomena in the atmosphere and space. There you go; there must be an atmospheric CO2 concentration threshold above which certain genetically susceptible individuals’ critical thinking skills are diminished while their naive “bandwagon” instinct is enhanced. Pretty please, tell us why your cherry-picking of an appropriate article is any better? Your article refers to the period 1980-2008 (28 years). The article above refers to the period 1954-2002 (48 years). Objectively, which do you think is the most pertinent period from a statistical viewpoint? Having said that, the recent greening of the Sahel is definitely real. The big questions are how long will it continue and what are the long term forecasts? So “They found that one in six trees died between 1954 and 2002.” That means five out of six trees lasted nearly half a century or more. In the wood i walked through in the UK yesterday there were precious few trees i would judge to be that old and far more than one in six were dead. Smokey: I’m assuming that was just a lazy joke on your part. My apologies for not laughing. I’m not too fond of straw-man rebuttals. Lack of humidity results in Higher daytime and lower nighttime temps. War and Marxist non-sense have had more impact on the Sahel then all other factor combined. I am sure none of this has anything to do with the explosion of nomadic and static popukation growth in this desert country. One wonders how many more trees there would be if they had not been chopped down for firewood if the people in the area had access to reasonably priced fossil fuels for their cooking and other energy needs. According to the ice cores, famously ‘misread’ by, Al Gore, as proving increased atmospheric CO2 levels were followed by increases in global temperatures, actually show, and this was conceded in the British High Court by the makers of ,An Inconvenient Truth, and government scientists, that the reverse was true. The ice-cores demonstrate that rising global temperatures are followed eight-hundred to two-thousand-years later, by identical rises in the levels of CO2. It is a matter of historical record that climate change is a natural phenomenon and extremes such as ice-ages occur every twelve-thousand-years or so, and unless dinosaurs burned fossil fuels by driving cars, or flying aircraft, according to the insane greenhouse gas theory, these known events could not possibly have occurred. Reality beats ‘adjusted data fed, climate computer models, hands down. And they wonder why we do not believe them! Gonzalez is the “Climate Change” scientist for the National Park Service. Let’s hope the climate doesn’t stop changing, otherwise he is out of a job. Similarly, he does not study climate records, but “Climate Change” records. I suggest his brief must be predetermined. What other result can one expect. Does large parts of the world suffer from the climate changing? Of course it does – take Canada for instance – 18,000 years ago Canada was covered under a two mile thick ice sheet. There was no Canada back then. Before that Arctic Canada has trees similar to those presently found in southern China. Dinosaurs roamed the region. Even before that North America itself was split apart by the Great Western Inland Sea – today those of us here in the oil sands dig up marine dinosaurs that once made the Great Western Inland Sea their home. 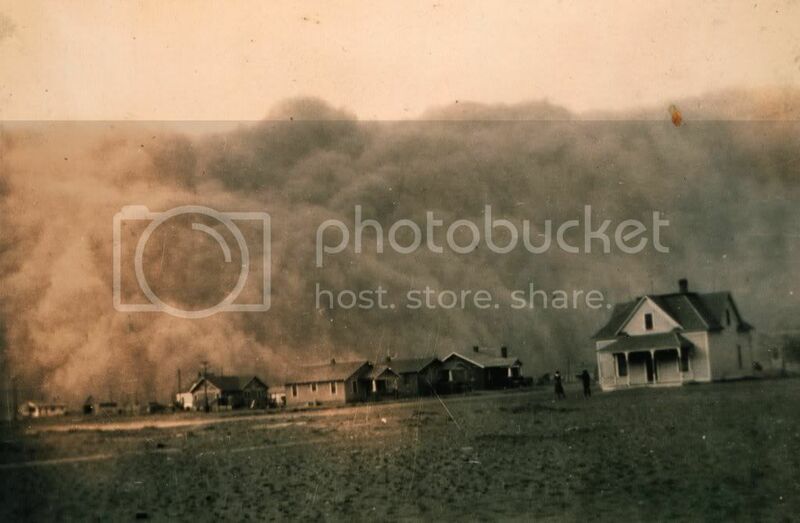 More recently the North American west suffered through the dirty thirties – and the west was referred to as the Dust Bowl. That the world has experienced climate shifts is nothing new to any reasonably intelligent human being with one brain cell still functioning – and the last time I checked Africa was no exception to the rule of change. The single largest reason for planetary change has been plate tectonics – and we’ve discussed this many time here and in the comment section. However, what is radically missing from the discussion with reports such as this one, especially from so called scientists, is the historical changing earth put into context of these studies. It is disingenuous of these “scientists” if one can even call them scientists to lump every study into their pet Global Warming fantasy – especially when this planet has a long history of change. To me the Global Warming cartel has done more damage to science than every religion combined has ever done. And that’s saying a whole lot. Change will lead to both good and bad. I only seem to read only bad when climate change is involved. I therefore conclude that climate change is being misrepresented. Change will lead to both good and bad. I only seem to read only bad when climate change is involved. This is a very common misconception. It is very well known by scientists (yes, even the climatologists) that some regions will experience a positive effect due to climate change. For example, northern regions of Europe may be able to produce wine in the near future if temps continue to rise. There is in fact no problem with the idea of climate change itself. The Earth’s climate has changed many times in the past. The problem is with rapid climate change (within a century or less) on an Earth with a human population of around 7 billion. Such a situation has the potential for much upheaval and it is this uncertainty for the future that is problematic. The pattern is simple as I understand it. The Sahel has been greening in recent decades, compared with earlier in the last century. But what it will do now is another matter. The image of the tree at the header has had all of it’s bark removed, which has two possible sources; people in the Sahel region use bark as kindling for cooking fires. They also raise goats as a primary food source, and goats eat bark, many studies have suggested the introduction of the goat into North Africa as one of the primary causes of deforestation. The Journal of Arid Environments had me laughing. When I was in college we had to give Grand Rounds presentations (although they called them something else). The idea was to hone our presentation skills so the professors always tried to trip up the presenters. There was one loathsome professor who read and would cite articles from the dullest, most obscure journals that none of us were even aware existed. I joked once about getting chewed out for missing a crucial article published in the “Scandinavian Journal of Ischemic Rats and Mice”. I wonder what the circulation of the Journal of Arid Environments is. Patrick Gonzales has taken Trenberth’s advice and reversed the null hypothesis. The null hypothesis under this interpretation is that all climate change is human caused. Skeptics then have the burden of proof that something other than humans caused the change. This is perverse of course and is sufficiently outrageous in its perversity that it deserves to be a named fallacy. There is a simpler description of this fallacy. This fallacy is committed when someone discovers some fact that conceivably could have been caused by AGW and concludes, on that basis alone, that it was caused by AGW. More warming would be entirely beneficial for the biosphere. In a world where one-third of the population subsists on less than $2 a day, a few degrees more warming would open up millions of new acres to farming in areas like Siberia, Greenland, Mongolia, Canada, etc. The increased warmth would cause more ocean evaporation and thus more precipitation, providing water for crops. And more CO2 would be even more beneficial, providing airborne fertilizer and making crops grow faster. 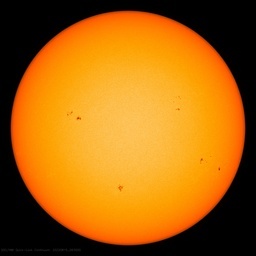 Currently there is insufficient CO2 in the atmosphere. More is better. Attempting to restrict the output of CO2 is tantamount to killing the world’s poorest. This is not speculation, it is a fact: when your income is $2 a day, you have to spend almost all of it on food. And that is the average income for a third of the global population. That means half of those earn less than $2 a day. They are on the edge of starvation. Arguing that we must reduce “carbon” is no different than the Eugenicists of the 1930’s arguing that humans with medical or mental problems must be killed. They argued exactly that back then, and countries like Germany took that action. Today’s eco-fascists are arguing exactly the same thing, asserting that the planet has too many people. So some will have to be killed. Deliberate starvation seems to be their murder of choice. And they’re not kidding. The question is: Why would you allow yourself to be any part of their evil plan? Pretty please, tell us why your cherry-picking of an appropriate article is any better? Your article refers to the period 1980-2008 (28 years). The article above refers to the period 1954-2002 (48 years). Objectively, which do you think is the most pertinent period from a statistical viewpoint? …. People in the Sahel depend upon trees for their survival,” said Gonzalez. “Trees provide people with food, firewood, building materials and medicine. Prosopis africana is, according to one expert source, “a small to large tree (4-20 m), with an open canopy and drooping foliage, resembling Tamarindus indica…. (which is) highly valued as fuel and (for) charcoal making. Due to overexploitation P. africana has disappeared from large tracts of the South Sahel and North Sudanian savannas. Other uses : the bark contains some 18 % tannins, young leaves, shoots and pods are much sought after as fodder in the second part of the dry season, and branches are often broken down or lopped for the easy access of stock. Seeds are fermented and used as seasoning as those of Parkia biglobosa. Pounded dry fruits are a fish poison, again like those of Parkia. Virtually all parts of the tree are used for some medicinal care, as for Parkia. If the existing trees are anywhere subject to migrating, nomadic people, their going to be used in the same way they’ve been used for millennia. They are a resource. Unless they become agrarian, settled people, and learn to plant and raise the trees for dune stabilization under orchard conditions, the trees will disappear. University of Cal / Berkely seems to come up with a lot of this kind of stuff. Are they measuring dryness of a century (20th) compared only to the previous 50 years (mid-1800s)? Huh? (Pardon the lay person response.) Could they be measuring the relative wetness of that first 50-year period instead? Any commentary on environment anywhere in Africa which makes no mention of AFF (Anthropological Fire Fueling) or the the world’s number one desertifier, the goat, is not worth the time taken to read it. The people of the Sahel are basically nomadic or semi-nomadic and tree replanting is not one of their noted pastimes. The goats get taken with them on their travels to ensure that the next-door region has its annual grasses removed by the roots. Rainfall declined in the US in the period of recorded measurements, causing increased aridity. Hmm, wonder what the role of Samory might have been – he waged a scorched earth campaign against French invaders of West Africa in the late 1800s. Before AGW became popular, the desertification of the Sahel was studied intensively and found to be caused by deforestation due to use of trees for firewood and overgrazing with sheep, goats and cattle, which killed the trees, leading to less rainfall, leading to less trees, etc. The reforestation of the Sahel has lead to moderate to great success in restoring shrub land and improving rainfall and crops. Lots of links to Reforestation Sahel. The clearest illustration of very long term drying in the Sahel is the extent of Lake Chad. Hint: once upon a time, long long ago, it was much bigger than it is now. This has nothing to do with anything done by man. This is bit like the Kilimanjaro snow fiasco. People who know nothing about Africa visit for just long enough to collect some superficial talking points to support the conclusions that they formed before they began. They might as well be arguing for the Ptolemaic planetary system. Poor chap, he was probably hoping to make quite an impact after the planet-saving results of a highly successful Durban conference, when he would be sure of admiration for his sagacity and the usual uncritical recitation of the gospel of The Cause. I wonder if he reads this blog? I do hope so. I’ve got a different idea about the bark beetles in this part of the US. As “scientists” always say, the hypothesis certainly “requires more research”, but it’s at least a tantalizing correlation. Remember that North Africa was the breadbasket of Ancient Rome, and so it is likely that the area was rather wetter than we see today. Anyone who has even the most rudimentary paleo climate knowledge knows that movement of the Sahara toward the equator (and hence Sahel drying) is typical during a cold period. “As this conspicuous pattern is linked to the Sun’s activity, which again is based on the Sun’s dynamics, an explanation of the phase reversal, too, should be found in the Sun’s dynamics. I have shown that there are torque cycles in the Sun’s oscillation about the center of mass of the solar system which are associated with solar activity (Landscheidt, 1986 a, b, 1999 b ) and climate change (Landscheidt, 1983, 1987, 1988, 1990, 1995, 1998 a,b, 2000 c ). So in Tunis, the winters (rainy season) have been rather wetter recently. It would be interesting if someone could do a better analysis of rainfalls in N Africa to see if this is consistent across the region. And if the Sahara High has moved south for 3 years, it is not surprising that flora to the south of the Sahara has suffered. I don’t know the depth of the root structures and the water table in southern Saharan regions, but three years without rain will put a strain on any biosphere. But this is what climatic regions do – they shift occasionally. As I said before, Mauritania (Algeria, Libya, Tunisia and Egypt) were the bread basket of the Roman and Byzantine Empires, which suggests they were rather wetter. And it was not simply the climate that changed. Algeria, Libya, Tunisia and Egypt were all 100% Byzantine Christian, until they were put under pressure by a drying climate. This, together with the aggressive armies of Islam, ensured the whole region was subdued and taken over by the sword and forceably converted. Perhaps a wetter N Africa may seed some new shoots…..
And several thousand years before that, during the last ice age the Sahara expanded south, almost to the coast of Guinea, and rainforests were reduced to a few small coastal and montane refugia. The sand dunes are still there, under the woodland and forest. Because Sahara grows when the climate is cold and shrinks when it is warm. During the previous (warmer) interglacial it disappeared almost completely. This particular area has seen great changes in climate over the years as has much of Africa. The climate has varied between rain forest and savannah as the tropical weather patterns move. The Sahel is an area the the ITCZ migrates across. During warm periods, the ITCZ tends to migrate farther from the equator and during cooler periods in migrates closer. This particular portion of the planet experiences quite dramatic changes in rainfall due to variations in the path of the ITCZ. During the LIA there is evidence that the ITCZ migrated closer to the equator or, more accurately, didn’t migrate as far away from the equator when the Earth is cooler. It would be no surprise that the Sahel would have dried during the modern warming. But also, places South of it would have received more rain than they had in the 1970’s. We will soon see a return of the droughts that we saw during that period if we are in a new period of cooling. Ethiopia will again dry out as it did in the 70’s. During the LIA, the Sahel probably got a lot more rain than it does now because the ITCZ probably landed right on top of it. It probably dried out until about 1950 in the early 20th century warming, then maybe got a little wetter until 1975 or so and then got dryer still during the late 20th century warming. The key thing here is that climate in that region IS NOT STABLE! It is right on the edge of the Sahara. It’s rains can vary considerably from year to year or decade to decade due to the positioning of the ITCZ. What we have here is another case of Berkeley again attempting to create the illusion that climate would be stable and perfect for everyone in all locations and they any change in it is A: bad and B caused by humans. It is pretty much a zero sum game in this case with the Sahel. If you want that place to get more rain, someplace else has to get less. We have studies that show the ITCZ has made very long term changes over time. About 9000 years ago to about 5000 years ago it was slowly drifting toward the equator in response to a decline in summer insolation. During this period places changed from rainforest to savannah and vice versa as the precipitation changed. Monsoons in India became shorter. The Levant dried out. About 3000 things changed quickly for some reason and by 2000 years ago were pretty close to the present regime of temperature and precipitation though we have been gradually cooling even more over the past 2000 years. From 5000 ya to 2000ya the Dead Sea lost about 50 meters of water. The flows of the Jordan River would have greatly diminished and an area that had been green became desert and that desertification continues even today with some decadal variation but generally drier weather over the past 2000 years. What the Sahel is seeing is normal variation that has been common during the past 200 years. It will have wet times, it will have dry times. Algeria, Libya, Tunisia and Egypt were all 100% Byzantine Christian, until they were put under pressure by a drying climate. That would coincide in timing with a great change in weather patterns that would have started at about 2kya. The entire region would have experienced a great drying out. That same period is even seen in the Western US where the Great Basin saw a dramatic reduction in moisture about 2kya. It causes hardship. It causes upheaval.. When things get dry or cold and food gets scarce, traditionally people go on the march. We in the U.S. and other industrialized nations have it in our power, with current technologies and practices, to avert more drastic impacts around the world by reducing our greenhouse gas emissions. I trust there’ll be some letters in the next issue that get the author’s goat. If he’s identified a legitimate, wide-scale (continent-wide) phenomenon of trees moving south (equater-ward), it could be the ecotone shift that Fagan refers to in The Long Summer. Carole Crumley, an historical ecologist is the expert he cites. She claims ecotone shifts are the result in shifting latitudes of westerlies – the jet stream. It would be interesting if someone could do a better analysis of rainfalls in N Africa to see if this is consistent across the region. The key to that region is, again, the ITCZ. That will hold the key to precipitation. Maybe not for Tunis but certainly for Sudan, Chad, Niger, Mali, and Mauritania. One thing that will be noticed is a change in SUMMER rainfall. It Tunis gets the majority of its rain in Winter, then that comes mainly from a European source and not tropical. Basically those would be fronts coming in from the Atlantic or down from Europe. During periods of pronounced global warming as we had some 9000 to 5000 years ago, they would get a lot of summer rain as the ITCZ was some 500km North of its current location in summer. If the planet were to warm up by 2 degrees, we would probably see a return of summer rains to the Sahara. Also notice that the building of the Pyramids in Egypt and the Ziggurats of Mesopotamia start right as the climate is undergoing a change and both areas were starting to experience major drought which they had not seen in some 5000 years previously in those locations. I can’t help but wonder if those were not designed to appeal to the gods for rain in addition to being tombs and temples. People can become very superstitious when things change dramatically. If he’s identified a legitimate, wide-scale (continent-wide) phenomenon of trees moving south (equater-ward), it could be the ecotone shift that Fagan refers to in The Long Summer. It has happened time after time after time and is quite well documented in geological papers of things such as pollen surveys of ancient lake bed. You see the pollen change from forest trees to grasses and back again. It has to do with migration of very significant weather patterns that generate a shipload of rain. This isn’t anything “new” or anything caused by man, in my opinion. It is just one more episode in a long string of similar episodes. I really get tired of this environmental narcissism where people assume humans control everything about the planet and are the cause of all problems and can “fix” everything or even have a measurable influence on it. There are just some things that go on in this universe that man has no control over. Are there any other sites in the Sahel as well, and if so, what kind of sampling is that ? 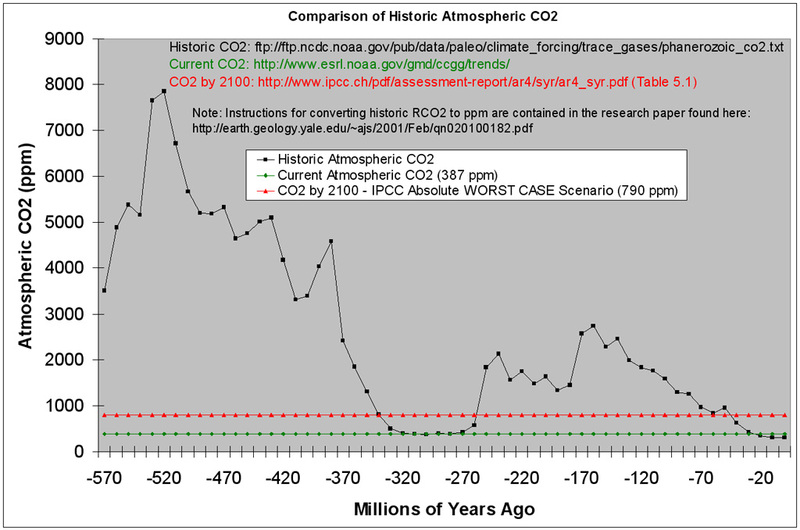 That assumes that there HAS been any measurable impact from human GHG emissions and I would AGAIN point back to the 1910 to 1940 warming and ask you how greenhouse emissions could possibly have caused that warming when there wasn’t any significant increase in greenhouse emissions and why you think the late 20th century warming which was of practically identical duration and rate WAS caused by greenhouse emissions. Just because the two graphs (CO2 rise and temperature change) coincide for a single 30 year period in the record DOES NOT mean that one causes the other because the two diverge or go in opposite directions for a much greater portion of the record. As someone else posted, you are entitled to your opinion but you are not entitled to your own set of facts. The facts are that over the past 150 years there has been no overall correlation between temperature and greenhouse emissions. Your position is based on a “belief” or a “feeling” not on facts. I thought it was called the Sahara forest before Paul Bunyan cut all the trees. Hey, my folk story is as good as these researchers’ fiction. Well, they do have to consider their funding, I suppose. Garrett conveniently forgot to mention how much arable land there would be in Canada if the Earth warmed even slightly. O/T having read the post prior to this one by Shub Niggurath I am concerned his post was removed because of “inflamed reactions”. Can’t see the problem frankly. The post made an important contribution to the debate. What should have been removed was the “inflamed reactions”. A very bad precedent has been set which bodes ill for the future. The poor behaviour at the core of the Climategate emails is now creeping into this site. Luckily, I’m free to think what I like and I have the internet. Steve-Gonzalez is referring to the fact that Ponderosa Pines need a given amount of water in able to naturally prevent the bark beetles from eating through its thick bark and ultimately killing it. While that may be true, the trees are always stressed from lack of water. It is abnormal to receive any rainfall during June and most of July here, which kind of puts a damper on the growing season. Smokey: First off, you seem to agree that increased CO2 will result in warming. At least we’re on the same page there. Second, you assume way too much. Many scientists do realize that warming could be beneficial to some areas, but it’s very difficult to predict with certainty what areas will benefit and by how much. Even an expert in biosphere science would be hard-pressed to give an answer to that question, so I’m not so sure why you’re so confident in your predictions. You also assume that plants and humans will be able to adapt rapidly (within a couple of generations I presume) to such changes. This gets right to the crux of the issue – humans, animals and plants need time to adapt to changes. The main problem with GW is that it’s expected to occur too quick for many plants and animals to have time to adapt. There is not “insufficient” CO2 in the atmosphere. There’s no such thing as the right amount of CO2. The closest thing to a “right” amount would be one that is stable or changes very slowly over time so that humans and other living creatures have time to adapt. Comparing me and others to “eugenicists” and “eco-fascists” is just plain silly. I’m trying to have a reasonable discussion, but with remarks like that I begin to wonder whether I’m just wasting my time. If was silly enough I could retort with similar remarks, but that gets us nowhere. I never disagreed with the results of that paper in the first place. It could have referenced 200 papers and my argument would still be the same: the Olssen paper refers to greening over roughly a 25 year period, whereas the article above refers to a period nearly twice that length. If one was to objectively pick a period for purely statistical purposes, then the longer period would be more appropriate. Yes, the Olssen paper talks about conditions as far back as the 1930’s. What’s your point? It mentions it in an historical context, not in the context of greening. I do agree that the Sahel has greened recently. An interesting point about that Olssen paper you referenced is that much of the research comes from climate scientists, and that GW is responsible for the increased rainfall. Some of the data (Fig. 1 in that article) even comes from the Climatic Research Unit, University of East Anglia. So I presume this means that you accept the validity of both mainstream climate science and the data of the CRU? Certainly trees need water to grow but why blame CAGW when we know that CAGW is not happening. Climate change carries on as does weather changes but the drivers are the AMO, PDO etc not man. After reading Willis’ piece on the Sahal, I discover it receives as much or more rain than Colorado, which only strengthens my point. How can any reasonable person write that based on the few years studied? The paper used data from 1954 through 2002. A later paper, cited by Joe Crawford, used data from 1980 through 2008. The paper cited by Crawford shows the Sahel is greening, and the period studied encompasses the last 22 years of the Gonzalez paper. What these two studies show is that the drying and greening of the Sahel may be cyclical. Nothing more. At current and projected concentrations, CO2 is harmless, and beneficial to the biosphere. More is better; there is no downside. CO2 probably results in some insignificant warming, but other factors have a greater effect. A warmer planet is a net benefit to humanity. Cold kills. I will be happy to discuss any of those statements, and back up my position with plenty of citations like this. The biosphere evolved in much higher CO2 concentrations, at times when life on earth flourished. There is no evidence of global harm due to the rise in anthropogenic CO2, nor from the increase in CO2 in general. Therefore, CO2 is harmless, QED. The unscientific alarmism over “carbon” is simply a disguise for the massive, organized, global scam that is intended to lead to immense tax increases and the transfer of our wealth to/through the thoroughly corrupt UN, and which will do nothing measurable regarding global temperatures.